Hey guys! Today I’m going to be writing about a product that I’ve been wanting to review for months now, but just haven’t been able to schedule it in. Now, I have managed to, and I can finally post about it. Hurrah! 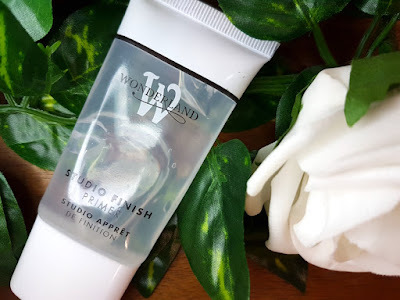 Wonderland Makeup is a brand that produces high quality, cruelty free products that don't cost the earth and the Wonderland Makeup Studio Finish Primer is perhaps one of their most popular products. It is a silicone based, silky smooth, oil-free primer that claims to reduce the appearance of fine lines and to hold makeup in place on the face for a flawless finish that lasts all day. Primer may be something that some decide to skip over when applying their makeup and this may be due to a few reasons. Maybe your skin is very dry, or very oily, blemish-prone or sensitive. This primer is one for all, and should deliver the perfect finish regardless of your skin type. It comes in a transparent tube that holds 30ml of product, and the product itself is also clear in colour but feels and looks a bit like a gel when you squeeze it out of the tube. The primer then comes packaged in a sleek, black and white box. Primer is the first step in your makeup routine. On clean, moisturised skin, apply a pea sized amount to your fingers and then gently massage it onto the skin. The first thing that you will notice as you apply this primer is the silkiness. It glides on to the skin, and somewhat helps to reduce the appearance of pores as you go. In regards to fine lines, you see them begin to be filled, ready for your next layer of makeup (your foundation). It covers dry areas and doesn't aggravate oily areas. It does have a radiant finish, but not an oily looking finish. In regards specifically to oily areas (my skin is very oily but has the occasional dry patch and it can also be sensitive), this primer won't really help at holding that oil back, but if you are following it up with a mattifying foundation or powder then this shouldn't be an issue. The main point here is that it does not make oily areas worse or make the skin feel greasy, even though it makes the skin feel very silky and look naturally radiant. When it comes to applying your foundation, it applies so well on top of the smooth, even base that it creates for you, but the main proof of the quality of a primer is more in how well your makeup lasts throughout the day. In that area, I am happy to say that this primer does a fantastic job. The Studio Finish Primer really helps to prevent your makeup sinking into fine lines and it also helps to hold your makeup in place all day. It works as well, if not better, than a fair few top range primers that will cost you far more. I kind of feel that this is a no frills, down to business type of primer. Less of the impressive sounding claims and more of the doing what it needs to do. It is therefore hard to go into too much detail about this aspect or that aspect because it is simply just so "to the point". It's almost like the primer and the bottle themselves being transparent are deliberate. It's cruelty free, oil free, stripped of all the fancy terms and phrases and magical technologies that we are surrounded by in the beauty world and it just stands there, transparently, getting the job done. And please do not be fooled; it does that job well. I do highly recommend trying this primer out whether or not you are looking for an affordable "dupe" of high-end products or even if you already own those high-end products. It is worth a try by everyone. I've been using it for a good few months now and I've been thoroughly enjoying it. 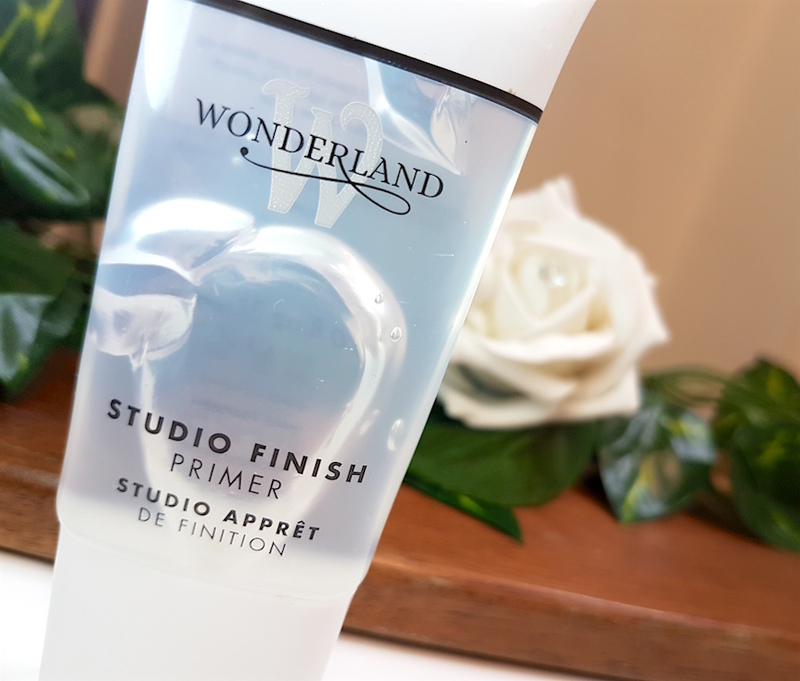 If you want to purchase the Wonderland Makeup Studio Finish Primer then you can find it at Wonderland Makeup. 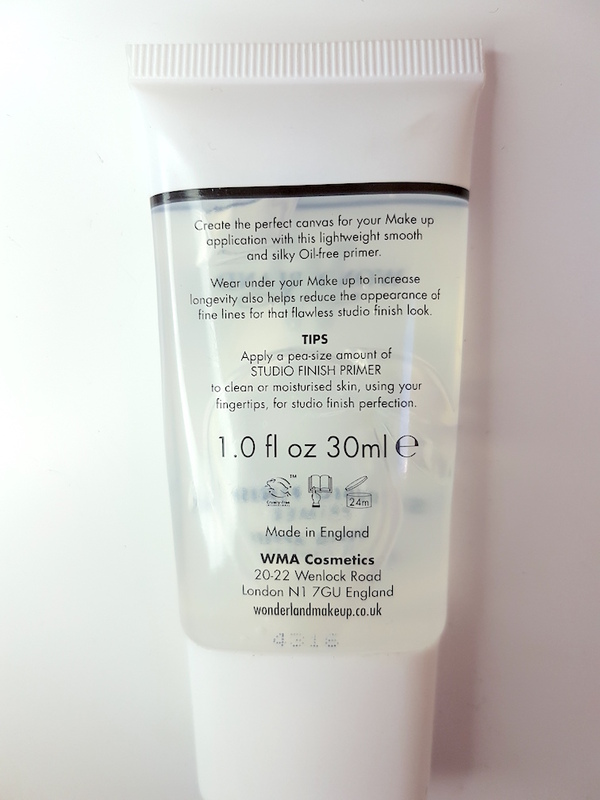 What are your thoughts on the Wonderland Makeup Studio Finish Primer? What is your favourite primer?